Uma Eye Clinic is a state-of-the-art tertiary care, super specialty eye care center located in Anna Nagar, Chennai. Ever since its inception in the year 1985 it has been offering the most advanced treatments across all areas of eye care. From small beginnings, it has grown to a center of excellence in eye care delivery. Cutting-edge technology, unmatched facilities, hi- tech equipment, competent staff, unparalleled expertise and impeccable patient service is what that sets it apart! We are the pioneers in the country to introduce the Phacoemulsification surgery for cataracts and the multifocal IOL implants. We are the premier providers of Laser Refractive procedures, Intralase (femto second) blade-less LASIK, SMILE, C3R for Keratoconus Treatment and Selective Laser Trabeculoplasty. We combine sophisticated technology with a depth of medical expertise in a warm, compassionate and patient-centered environment to provide “Excellence in Vision” care. Experience the freedom of vision – a perfect, crispier vision at any age with Uma Eye Clinic. Remember, when it comes to something that is very precious to you like your vision, you deserve only the best! Uma Eye Clinic is the clear choice! With Uma Eye Clinic you can - Improve your vision, improve your life! Dr. N.V Arulmozhi Varman is a leading Ophthalmologist/ Eye Surgeon in Anna Nagar, Chennai with an experience of 38 years in his field. 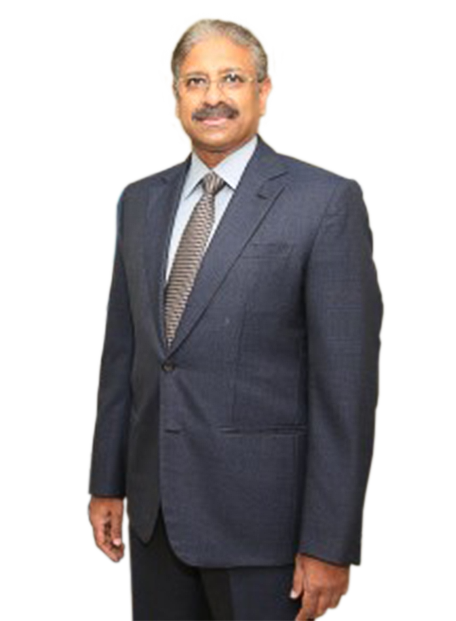 Dr. Arulmozhi Varman completed his MBBS from the Madras Medical College in the year 1980. Later, he acquired his Post Graduate Diploma in Ophthalmic Medicine and Surgery from the Madras Medical College in the year 1987. He holds a brilliant academic record of having secured the gold medal for topping the MBBS examination and also secured the first place in his Post Graduate Diploma in Ophthalmic Medicine & Surgery. Dr. Arulmozhi Varman is not only an astute clinician but an experienced instructor too. He has travelled across many countries to perform and teach Phacoemulsification cataract surgery. A master of PHACO, with extensive experience, he has conducted over 150 PHACO training programmes in India and abroad and has successfully trained more than 300 surgeons including those at the American Society of Cataract and Refractive Surgeons. Uma Eye Clinic has been the pioneers in several fields of ophthalmology. He is a man of many firsts! Uma Eye Clinic takes pride in being one of the earliest in India to start LASIK procedure and Intraocular Lens Implants for patients.We also perform the Image-guided Femtosecond Cataract Surgery which enables accurate IOL centration. We have also been successfully performing Laser Refractive procedures for more than 25 years. No wonder, we have been consistently ranked as the “Number 1 clinic” by various surveys conducted at the National level and by Health magazines. With service in mind Dr. Arulmozhi Varman started the Vision Foundation to help the poor and the needy with free eye screening camps and surgeries. In the year 2006 Vision Foundation joined hands with the Rotary Club of Madras and launched an Eye Bank in Chennai city. Uma Eye Clinic also conducts PHACO & LASIK Training Programs, acclaimed as one of the best programs available in India for National and International Ophthalmologists.